Highly sought after Vista del Valle Plan 1 model, in the highly rated imperial school District! This home is 1, 566 sq. ft., 3 bedrooms, 2 bathrooms and a den/office/media room/play room for the kiddos, whatever you would like it to be! BONUS this home has no back neighbors, only Austin and then green ag fields. 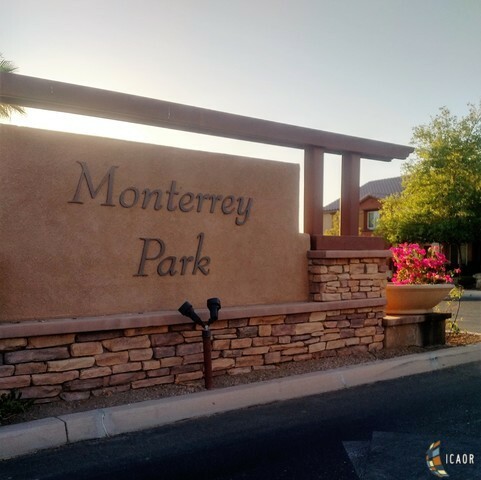 Gorgeous tile is throughout the entire home, granite counter tops in the kitchen and the master bath, upgraded cabinets, stainless appliances, breakfast bar in kitchen, side yard big enough to park an RV! This home is only 4 years old, highly energy efficient in comparison to "older" homes. Vista del Valle has a neighborhood Park, "a little bit of country" feel, a great family community! Vista del Valle: "Where strangers become friends, families bond and houses become homes". Call your Realtor today and make VDV your home sweet home!